Co-sponsored by GEICO, the annual Armed Services YMCA Art & Essay Contest allows children to express their military lifestyle and serves to remind us of the sacrifices our men and women in uniform, and their families, make each day for our country. Entries for the art contest depict the theme, “My Military Family” or "My Day at the ASYMCA," while the essay's theme is either "My greatest challenge as a military child has been..." or "How the Armed Services YMCA helped me." The contest is officially launched every November and is open to all eligible children of U.S. active duty or retired service members. Winners of both the art and essay contests are announced in April and have their winning entries displayed at 34 Armed Services YMCA branch and affiliate locations, as well as military bases worldwide during Military Family Month each November. Winners also receive a special Apple brand product prize to help military children continue creating and expressing themselves. Entries for the art contest should depict the theme, “My Military Family” or "My Day at the ASYMCA." The art contest promotes art among children in grades 1–6 of active duty or retired (with 20+ years of service) members of the Army, Marine Corps, Navy, Air Force, Coast Guard and National Guard/Reserves families. This year’s the essay contest's two themes, "How the ASYMCA has helped me," or "My greatest challenge as a military child has been.." encourages military children to use creative writing to express how they conquered the challenge or how the ASYCMA was a part of their life. Reminder: all artwork and essays become the property of the Armed Services YMCA. Submissions for the 2019 ASYMCA Art & Essay Contest should be received by March 15th, 2019. Rules, instructions, & entry forms can be found by clicking the rules & entry form button. The details of the annual contest are released in November. Sign up now so you don't miss the deadline to enter. Congratulations to the 2018 Art & Essay Contest Winners! 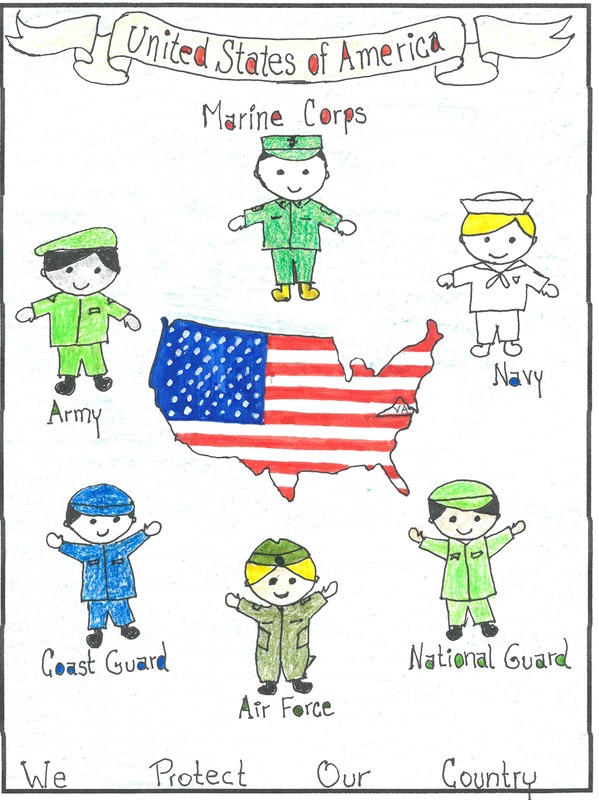 The Armed Services YMCA (ASYMCA) and GEICO Military are excited to announce the winners of the Art & Essay Contest, a competition that allows military children to communicate through artistic expression.Thank you to everyone who submitted their work!